Hi! I am Lauren, from My Life As A Plate. I feel honored to be guest posting for Kate while she is preparing for her GRE. Although I currently live seven hours from the ocean, I am a huge fan of all things nautical which is one of the many reasons I love this blog. 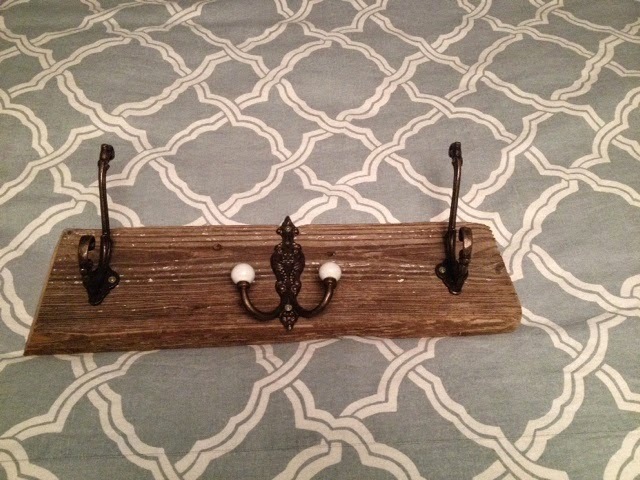 I wanted to share my DIY driftwood jewelry hanger my husband and I recently made. My parents have a house at the beach and they regularly find driftwood that has washed ashore. In the past we have used the driftwood to make all different types of items. 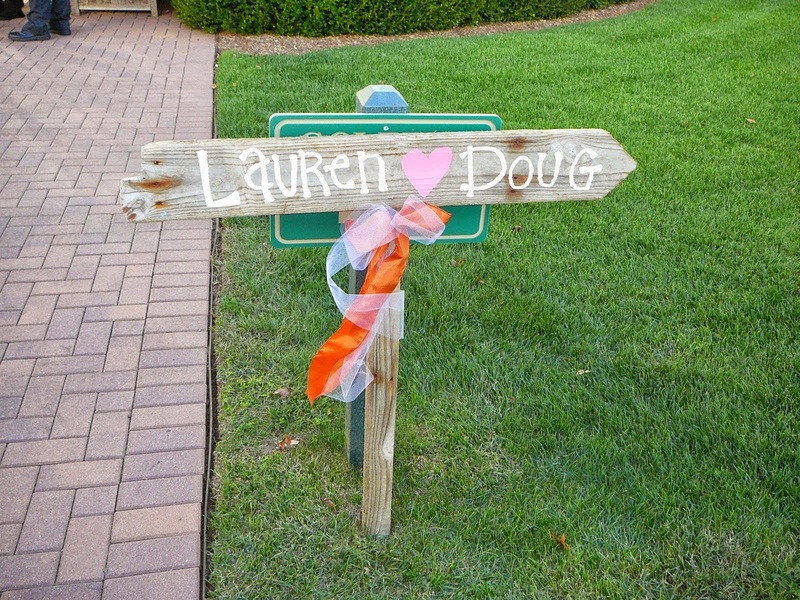 We even used a piece of driftwood to make a sign directing our guests to the cocktail hour for our wedding last year. I am a huge fan of the way driftwood looks after the water has taken its course and the wood transforms itself and new colors and textures form. Anyways, my parents had given us this piece of driftwood in the summer and I thought it would be the perfect base for a jewelry hanger. 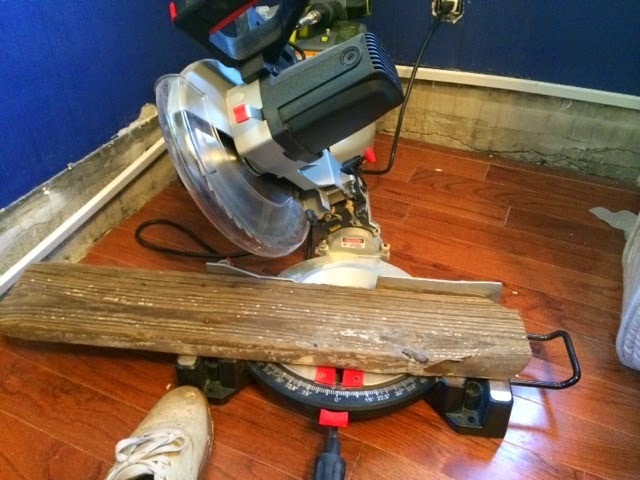 First we cut the driftwood with a saw (I have no idea what kind of saw this is haha) to the size I wanted for a jewelry hanger. I wanted to be able to fit three hooks across on the wood. It is about two feet long. 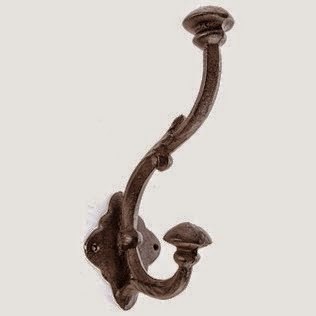 I then went to Hobby Lobby and picked up a few rustic looking hooks to match our bedroom that would hold a lot of my statement necklaces. Make sure the hooks are deep enough that several necklaces will fit. Don't forget to use a coupon for Hobby Lobby! Center the hooks and screw the hooks into the wood. The screws are sold separately, we went to our local hardware store and purchased wood screws. 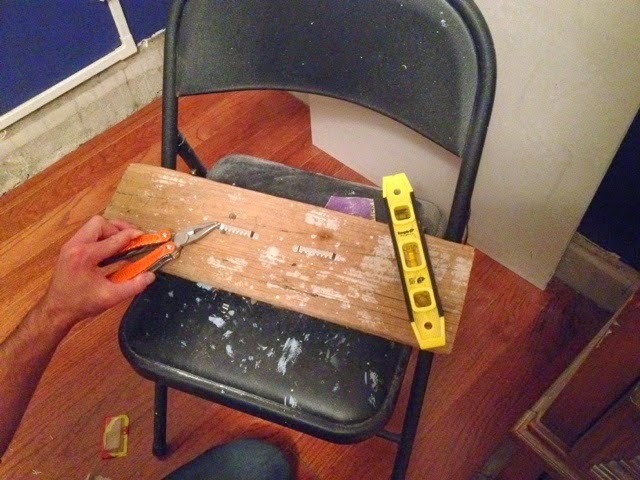 We also used a power drill to screw them into the wood. 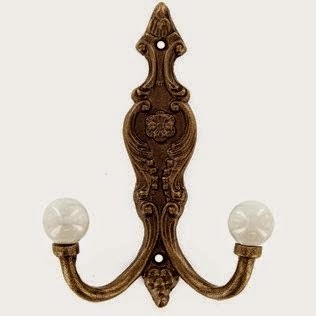 To hang the jewelry hanger purchase two picture hangers ( the ones with the jagged teeth). Make sure that the hangers are level. 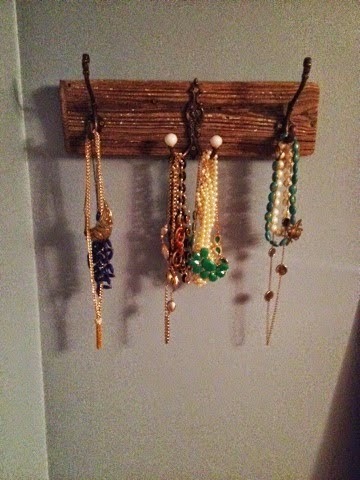 Hang the jewelry holder on the wall and TA-DA! I love how this came together and it holds so many of statement necklaces. Even though we are so far away from the coast, I love adding nautical touches to our home. Relatively easy and so many uses. You could also hang headbands, ties, or scarves!